Northern Kansas and southern Nebraska could have large hail and damaging winds today as a deep low moves from Colorado into Kansas triggering uplift as the cold front moves through. Then the weekend sees a possible storm sweep across southern and south eastern states with the worst tornado risk on Saturday. Saturday has had a 30% area issued this morning for Day 4. 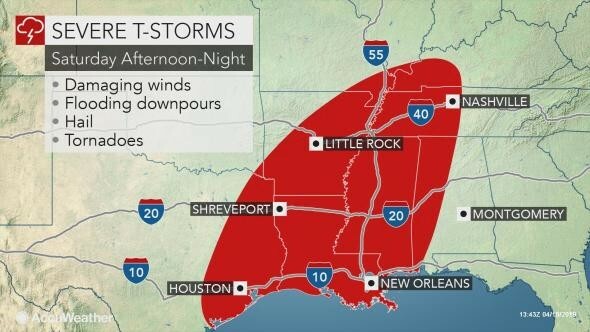 Could be 5 days of storms starting tonight. Literally counting down the days now! Haha! They seem to be quite concerned that this could get worse than forecast now, not better!! Let's hope everyone heeds the warnings, a lot of thunderstorms expected over a wide area. Unfortunately it will keep going after dark as well. Candidate for a Day 1 High risk maybe if this keeps growing? Hodographs for the most at risk area look scary. With fast moving storms over difficult viewing terrain, this could be dangerous for those who might be aware, never mind those who aren’t. I don’t know if I would like to see this type of set up or not when out chasing! Flash flooding in the mix as well. 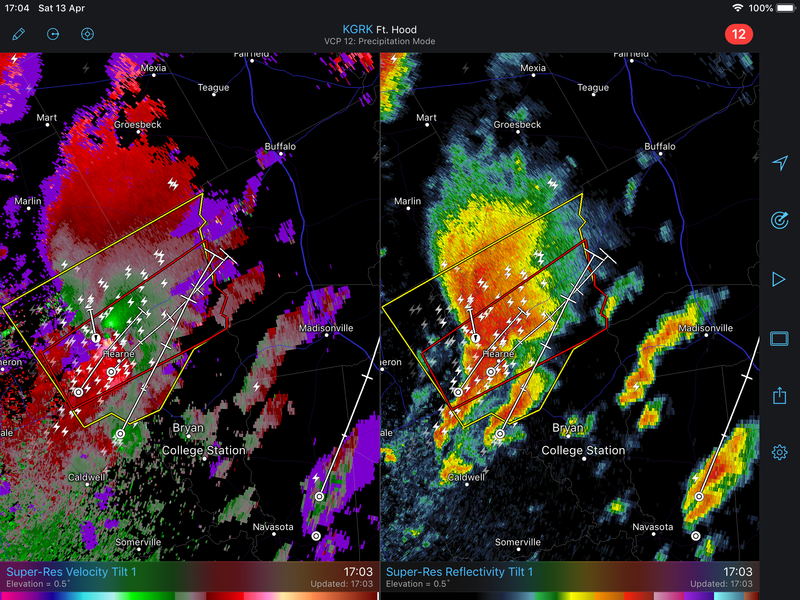 I suspect cloud/precip could limit the full tornado potential by blocking out day time heating? Its a tough one thats for sure, quite a few caveats on this one none moreso than convection that looks like firing tonight around Midnight in the Concho Valley will have an impact on this set-up a full 18 hours before the event is unfolding. This convection coupled with precip further north spreading should link up near the Dallas area mid morning and march East North Eastwards. The Open warm sector will be uncapped which is a problem in itself with a lifting warm front. 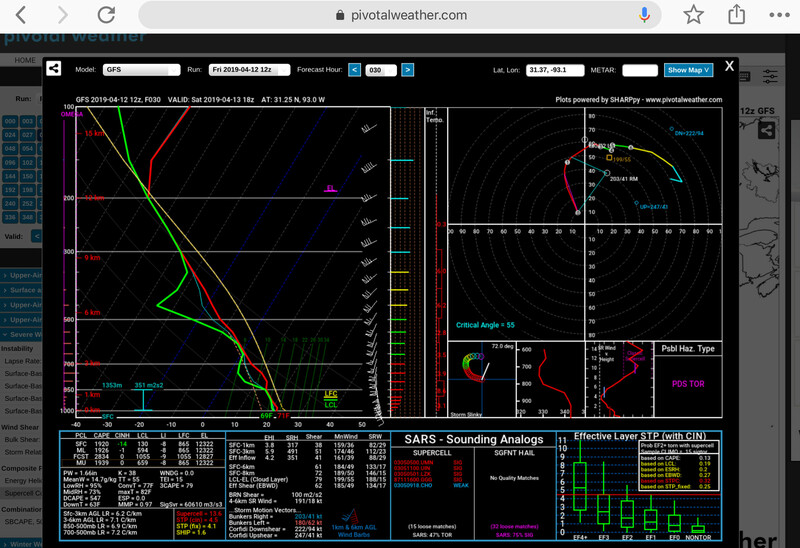 If too much convection fires and messy HP Structures all end up competing then it could dampen the tornado threat, but if temps climb to around 75 and enough solar heating can occur then we could be looking at some scary soundings tomorrow in Western Louisiana. A better risk area might be late afternoon into evening much further east over the Mississippi Delta with much better chase terrain but fading light from the storms moving in from the rest might make this a nocturnal chase. I do hope people ( including the chasers who will no doubt appear in the hundreds) take the warnings seriously and either sleep in their shelters or stay tuned to local warnings. Its started already, 1st Tornado Watch issued 01.50-09.00 hours. Going to be a memorable event I fear. From a meteorological point of view the data suggests a regional outbreak is likely with a few strong and lengthy tornadoes. From a chasing perspective it’s not good, as Paul has summarised. Too many trees and then long tracks of swampy bits into W LA with a dearth of decent roads. Additional: A skeg at the latest RAP shows EHI >10 in central LA at 22Z. The Alexandria metro area looks to be at risk. This is the daily activity chart, hail, strong wind events and tornado reports. 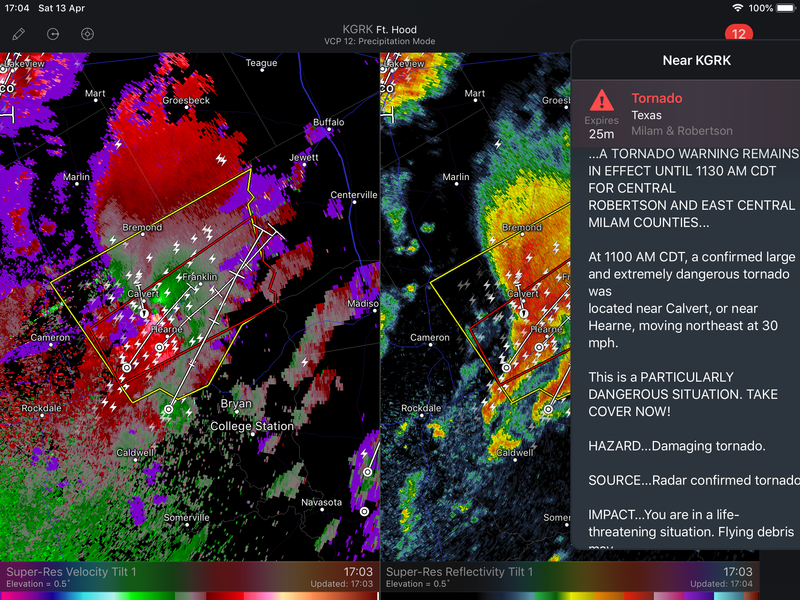 3 tornadoes already and its only 3am !! They’re up in OH associated with the winter low and occlusion. The activity down south is due to initiate from around noon local time. 1300z maintains a MODERATE Risk with 15% sig tornado risk. Forecast wording for some strong to violent tornadoes later. Bob Pack on that cell (link below) Looks like a bit ofdamage/debris on stream. Yeah looked like trees down on his stream just then. Dangerous night ahead. 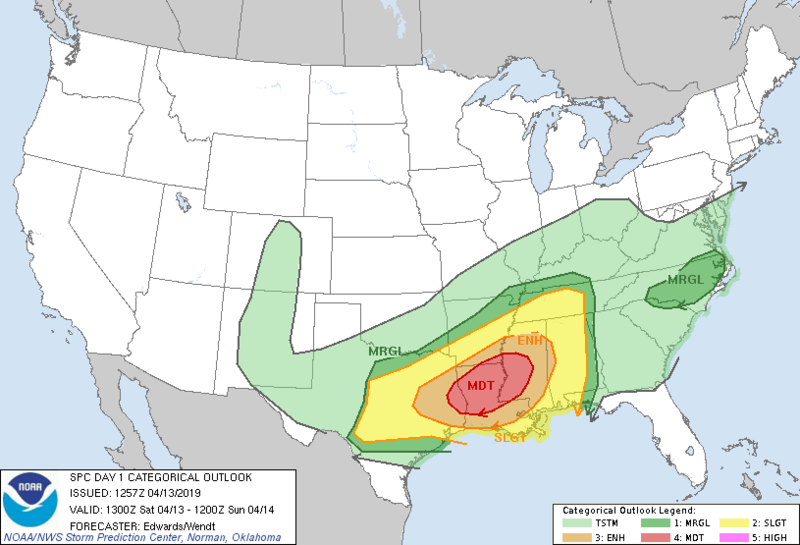 Does anyone have any links to a live video from a local news station in the moderate risk zone? They're always good for keeping up to date on nights like tonight.